Thanksgiving is a great holiday for most, but my holiday is a little marred by an tragic event that took place years past. 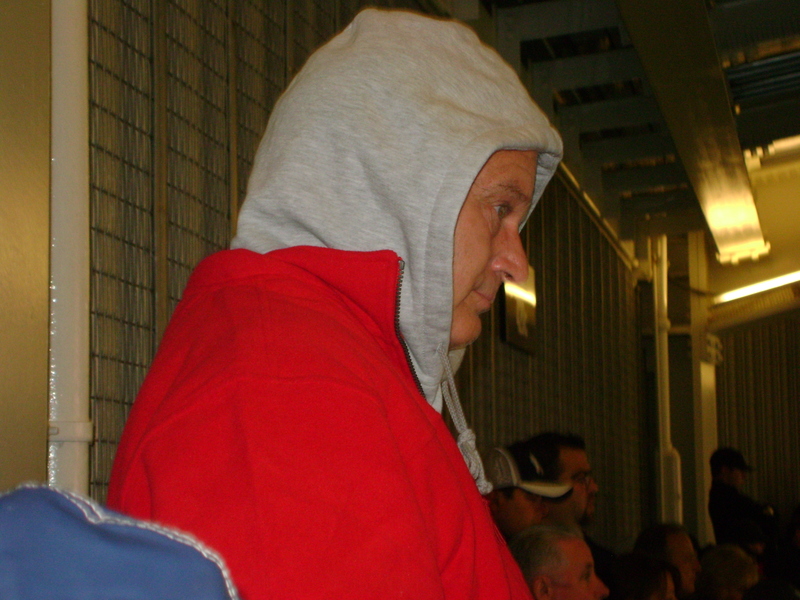 Before I tell my tale, let me introduce the Antagonist- Mike, my Dad, AKA Coach. The good, the bad, the ugly. One of the top perks to relocating back to my hometown has been the presence of Coach. The help of a grandfather is not necessarily unique in many families, but you must understand who Coach is- the man, the myth, the legend…before we witnessed the delightful evolution from barely Neanderthal to bona fide “Bumpa” 5 years ago. Who is Coach? He has lived in WC his entire life. He was the director of a summer camp, now serves on the township board, is active in the local fish hatchery, retired Biology teacher who was inducted in the National Wrestling Hall of Fame as he served as a Wrestling and Lacrosse coach at the local high school. He is somewhat Clint Eastwoodish- broodish, mumbly, usually heavily armed, scary to small children… riding around in his truck with spare bullets in one cupholder and a crusty dip cup in another. Coach is not who you would label as “sensitive”. For example, when we were young he used to tickle my sister and I until we peed our pants and cried. At least twice a week. Really. Typically, you will find Coach in his uniform. He mostly looks like a robber posing as a hunter…with ladies reading glasses dangling around his neck. He is often sporting the University of Colorado Crocs and light denim faded Wranglers from the late eighties. In the summer, he likes to wear one of his tribal Indian shirts handed down from me circa 1994 (I was in a Native American phase) or a wrestling t-shirt from a team he did not coach. He only shaves for holidays or when my Mom can’t stand his scruffle anymore, and likes to wear knit skull caps. Although I am sure once he reads this, I may be looking for a new assistant, Coach really is a useful little engine. He has changed diapers, mashed up homemade baby food, helped me with preschool pickup, fixed the boys breakfast at 6am, and even cut the cord when Evan was born. Around the time I was 9, my little sister Kara and I acquired a turkey from our Aunt Brenda and Uncle Scott. I don’t recall why they gave us a turkey, perhaps they won it in a contest? Having said that, it was not unusual for us to acquire livestock pets. We lived on a camp, and my Dad was a Biology teacher…so there were baby ducks, pigs, goats, cats, bunnies, hermit crabs, hamsters, dogs, snakes, mice, turtles…and a turkey. We named him Tom (super creative, huh?) and for a few Fall months he lived in the old rabbit hutch in our yard. I remember the wrestlers and my Dad in the yard while Kara and I were on the swingset. With a sly look in his eyes, Dad called us over to the turkey hutch where from his back pocket he pulled out a Beretta and shot our pet Tom the Turkey (in the neck) at close range as we looked on. Kara let out a blood curling scream, while I think I maintained some sort of decorum and internalized. He explained to us then that the turkey would be consumed for Thanksgiving next week…after he found the bullet. Hope your Turkey Day was just a bit less scarring – anyone got a good story from the weekend?